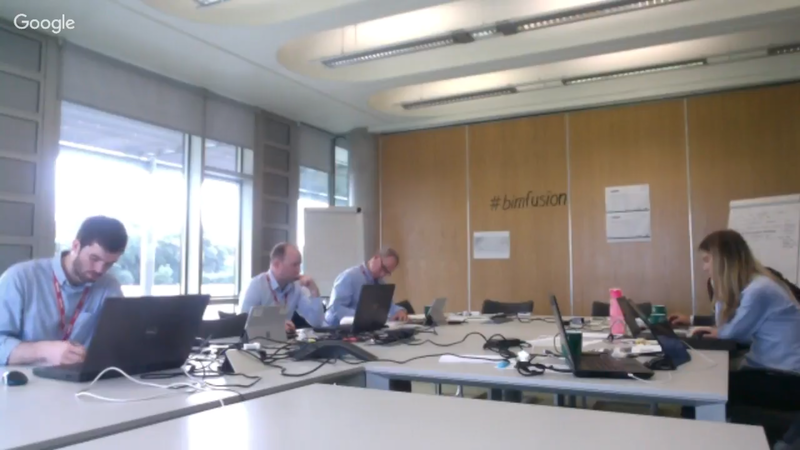 Check out this image of Team BIM Fusion in Northern Ireland working away (25% of the way through our 48 hour event). Loving the logo on the wall, team!! BIM Fusion are a team of construction, design and academic professionals, based in Northern Ireland who export skills and services globally. Their team consists of GRAHAM Construction, Ostick + Williams (Architects), Semple McKillop (MEP) and Ulster University. Their collaborative approach is BIM Level 2 process centric, focused on generating maximum creativity, and sharing information in a structured and well organised way as their database builds through phases of this exciting project. Their mission is to have fun, pushing the boundaries with their team entry and increasing their range of skills along the way.